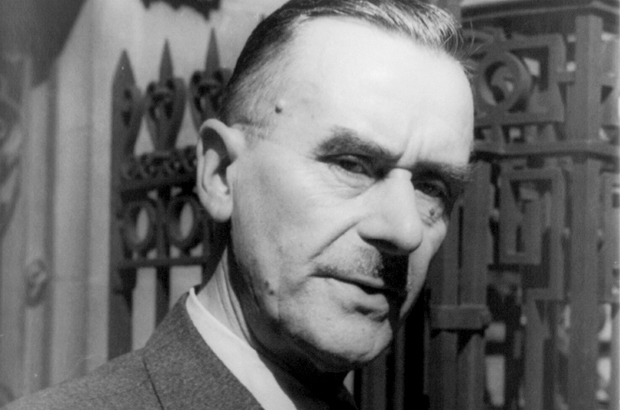 Thomas Mann was a German writer, novelist, philanthropist and essayist born in 1875 in Lubeck, Germany. He was the son of a senator and merchant, Thomas Johann Heinrich Mann and Júlia da Silva Bruhns. After the death of his father he moved to Munich with his family. He went to a science school there and then attended the Ludwig Maximillians University of Munich and Technical University of Munich where he studied Economics, History of Arts and Literature so he could follow a career in Journalism. The start of his writing career was with a short story ‘Little Mr. Friedemann’ which was published in 1898. Mann started writing his first novel in 1896 ‘Buddonbrooks’. It was a story about a merchant family which grabbed the interest of the public making Mann rich and famous. He also wrote a novel in the drama genre but this failed to gain similar success. So Mann decided to focus more on novellas or short novels. His reputation as a writer escalated with his novel ‘Death in Venice’ published in 1912. This book described the experiences of a writer who goes to Venice and falls in love with a young boy. Many of his works revolved around homosexual themes however his marriage to Katia Pringsheim, who belonged to a strong wealthy Jewish background, confirmed his tendency towards heterosexuality. They had six children. Some more books with the same subject are ‘The Blood of the Walsungs’ and ‘The Holy Sinner’. Mann wrote many fictional novels including ‘Royal Highness’ (1916) and ‘Early Sorrow’ (1929). ‘The Magic Mountain’ which is considered to be Mann’s most critically acclaimed work was published in 1924. It is said that it took him ten years to complete this novel. His novel, ‘Royal Highness’ won him the Nobel Prize. This story was inspired by his happy marriage resulting in a story about form and life and their reunion. The World War I changed Mann’s views about Monarchy and German supremacy. He left Germany in 1933 and finally settled in the U.S in 1938 after having lived in France and Switzerland for some time. He worked at the University of Princeton for some time. More novels by Mann include ‘The Tales of Jacob’ published in 1933 and following it the next year was ‘The Young Joseph’. These were stories based on biblical characters with ‘Joseph in Egypt’ and ‘Joseph and his Brothers’ a part of the tetrology. Inspired by the Russian culture he wrote essays on Leo Tolstoy and his perpetual realism. Mann’s writing style can be described as finely formed, filled with humor, irony and satire. His writings are very delicately composed with a deep and meaningful approach on one level and even deeper levels of representation. Thomas Mann was one of the most renowned and greatest writers of the twentieth century and his writings are commended not only in Germany but all over the world. He died due to tuberculosis on August 12, 1955 in Zurich. He was buried in Kilchberg. He left behind an unfinished novel ‘Confessions of Felix Krull’.